A key tenet of this era of Doctor Who has been that, above all else, the Doctor lies. I’ve never really bought into that idea, and not just because the person who usually says it, River Song, is the one individual who lies even more frequently than the Doctor. My objection more comes down to a distinction between lying and concealing the truth. The Doctor keeps secrets, but when asked about them, he’s always been more likely to just remain obstinately silent than say anything beyond a quick, transparently false reassurance that everything is under control. I suppose that might just be a semantic distinction, and that one person’s secrets are another person’s lies, but part of the problem is that, by and large, Doctor Who has been more content to have River and others tell us that the Doctor lies rather than actually show us through his words and actions. On that point, “Journey To The Centre Of The TARDIS” proves a major, most welcome departure from the show’s usual formula. 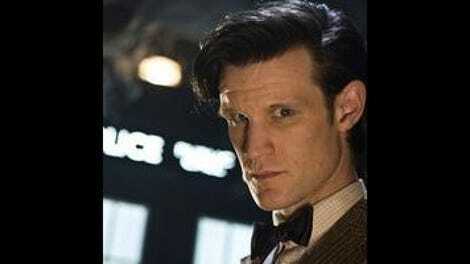 The Doctor lies in every possible meaning of the word in this episode, and it nearly costs him everything. Admittedly, it ultimately costs him next to nothing, but we’ll get to that. This episode often feels like a TARDIS-bound companion piece to last week’s “Hide,” both in its depiction of time travel and in its insight into the Doctor. 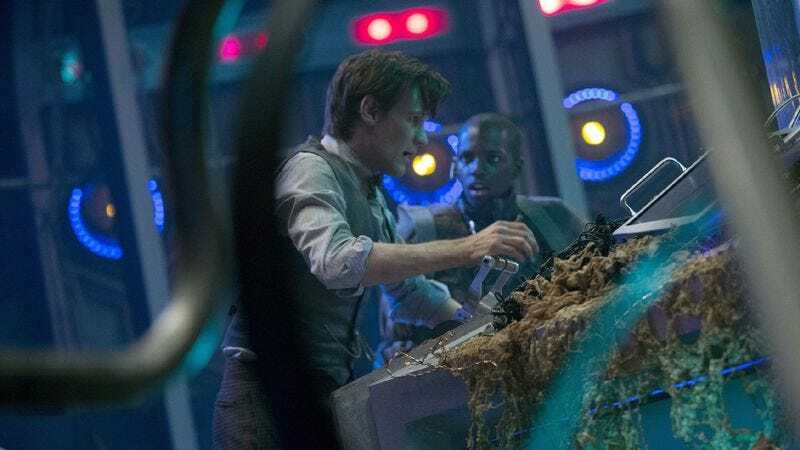 As Professor Palmer observed last week, experience makes liars of us all, and the Doctor’s untruths in this episode are often motivated not by any particular malice but because of the terrible knowledge he feels he must protect. Stephen Thompson’s script doesn’t make this explicit, but it appears the Doctor deduces the nature of the monster straight away, as he spends the rest of the episode desperately trying to convince Clara that some questions are better left unanswered. His lie about the TARDIS self-destruct is a more straightforward deception, the sort of thing the audience, if not the Van Baalen brothers, should see through immediately, but it works because Matt Smith commits entirely to this darker version of the Doctor. For that scene, all the goofiness, the whimsy, and even the awkward petulance have fallen away, and all that is left is the mad, 1,200-year-old alien who will stop at nothing to get what he wants. It’s an act, except perhaps it really isn’t. Perhaps that is who the Doctor truly is, and it’s the same side of him that so terrifies Clara during their climactic confrontation. For all his lies, the Doctor reveals more of himself here than he has in quite some time. His line “Secrets keep us safe!” is the perfect distillation of everything wrong with the Doctor’s worldview, and it goes back to the paternalistic overtones of his character that the show occasionally hints at, most recently in “The Rings Of Akhaten.” Implicit in the Doctor’s declaration is that it’s his secrets that keep people safe, whereas what he assumes to be Clara’s secret—namely, how she keeps popping up throughout time—places them in danger. It’s not a rare occurrence for the Doctor to be wrong, but it’s more effective for him to simply say something transparently wrong than it is for a guest villain to self-servingly point it out, which is how the show usually calls the Doctor’s morality into question. The scene in which he demands Clara tell him the truth is effective but a little short; once again, the scariness of the scene comes from Matt Smith and Jenna-Louise Coleman’s acting, but it’s an exchange that could easily have gone on longer and really revealed just how terrifying the Doctor can be when he drops all of his disguises. While the twisty, fiendishly complicated “Hide” recalled the classic Doctor Who haunted house story “Ghost Light,” this episode is reminiscent of the other notoriously incomprehensible classic-era story, “Warriors’ Gate.” Both that serial and “Journey To The Centre Of The TARDIS” present time travel as a chaotic, resolutely non-linear phenomenon, one in which cause and effect are freely intermingled. This is another episode that benefits from multiple viewings, because while it’s possible to work out in a general sense just what the hell is going on, this isn’t an episode that presents detailed explanations. This story doesn’t have logic problems as much as it transcends our limited, human conception of logic; the story is more or less about how an explosion cripples the TARDIS, which rips a tear in time that allows the past and the future to bleed into the present, and the only solution is for the Doctor to fix the problem before it actually occurs. Considering recent Doctor Who episodes have featured explanatory flashbacks to events earlier in the same episode to make sure everyone understands what is going on, the elliptical, enigmatic nature of this episode’s story feels like a particularly dramatic departure from the current format. But this sort of more challenging storytelling has long had a place in Doctor Who, and though this episode isn’t as thematically rich as “Warriors’ Gate”—which had baffling but brilliant things to say about slavery, the cyclical nature of history, and the insanity borne of inaction—it effectively pushes the Doctor out of his comfort zone, and so the episode works as a character study of the mysterious Time Lord. While I have no problem with the episode’s intentionally confusing storytelling, “Journey To The Centre Of The TARDIS” does have some significant flaws. As a plot device, the Van Baalen salvagers are a marvelous conceit, but they work rather less well as characters. The idea that Tricky the android is actually an amnesiac human with a couple bionic implants is a fairly implausible idea, but it could work if the writing created some sense of the world inhabited by the three brothers. There’s no sense of a larger society or culture, and Gregor’s description of Tricky’s accident is frustratingly vague: What sort of ship were they salvaging, and what sort of accident destroyed his memory, eyes, and voice? It’s not important that we understand any specific details—the accident could have happened on an Androzani frigate, a Draconian interstellar yacht, a Terileptil art gallery galley, or something nobody has ever heard of before—but just the presence of such information would indicate the Van Baalens have their own existence outside of the Doctor. As written here, they exist as little more than archetypes, and while Ashley Walters and particularly Jahvel Hall do good work as Gregor and Tricky, Mark Oliver rather misses the mark as Bram. The emotional confrontation and ultimate reconciliation between the scoundrel Gregor and the wronged Tricky is effective in isolation, but it doesn’t have much weight behind it. “Journey To The Centre Of The TARDIS” ends with a near-complete reset, as the Doctor overlays a new, safe day on top of the disastrous one they already experienced. It’s difficult to make such resets narratively satisfying; to its credit, the episode doesn’t tip its hand too early about the reset by, say, killing off Clara (well, it does do that, but only in the future), which would necessitate some way to undo all that has happened before. Instead, it only becomes apparent at the very end that the only solution is one that removes this day from existence, and it’s only then that we discover what will be lost. Not only has the Doctor finally come clean to Clara about her repeated deaths, but also Clara discovered the truth about the Doctor’s name in a book entitled The History Of The Time War, which she found in the massive TARDIS library. That’s the sort of big reveal that can only be dealt with properly in a season finale—indeed, this season finale, I would safely wager—but it’s fun (and yes, perhaps a little frustrating) to get a teaser in this earlier episode. “Journey To The Centre Of The TARDIS” isn’t perfect, and it’s a definite step below “Cold War” and “Hide,” but it’s another example of the show pushing itself, of fearlessly trying new things. That’s all I ever ask from Doctor Who, and so this episode continues the season’s sudden hot streak. My one big complaint about this episode actually comes when the Doctor reveals his deception to Gregor and Tricky. It’s played as a funny reveal, but nobody mentions that Bram apparently died as an indirect result of the Doctor locking them inside the TARDIS. This problem is somewhat ameliorated when the reset brings all three brothers back to life, but it still rings a false note that nobody mentions the human cost of the Doctor’s (and then Gregor’s) decision. The other Tom Baker story that “Journey To The Centre Of The TARDIS” recalls is “The Invasion Of Time,” which featured a distinctly less impressive jaunt through what appeared to be the TARDIS’ warehouse district. Insane, Obviously Wrong Theory Corner: Considering this episode is all about Clara’s past and the future leaking out of the TARDIS, this now offers a rather tempting way to explain the existence of Victorian Clara and Dalek Oswin. I don’t think that really fits what we’re presented with here, but I suppose we could combine this, the Great Intelligence, the TARDIS’s HADS system, Hila Tukurian’s time machine, a lot of close harmony Akhaten singing, and the Rani—always the Rani!—to put together some grand unified theory about what’s going on with Clara. I’ll leave you to connect the dots on that one, because I can’t do everything for you, now can I? There’s a great audio montage of TARDIS-related dialogue when Bram enters the console room. I definitely heard Jon Pertwee talking about the TARDIS being dimensionally transcendental and Christopher Eccleston uttering his great line about the assembled hordes of Genghis Khan, but perhaps you all can fill in what other clips were used.